Keith L. Pridgen, a financial planner and Registered Principal, uses a holistic approach in helping clients reach their financial goals. Identifying solutions, assessing risk tolerance, and walking clients through the various steps is critically important. 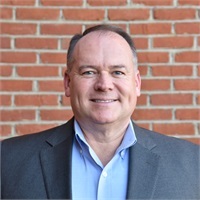 After working within his family’s home improvement business, he joined AXA Advisors in 1997 as a Financial Advisor and later moved his financial advisory practice to Farmer’s National Bank/NBC Securities. Keith joined Wilson Investment Group in 2011. Keith, a lifelong resident of Opelika, graduated from Auburn University in 1984 with a B.S. degree in Business Administration (Management). He is a former Chairman of the City of Opelika Planning Commission. Additionally, Keith served as a past chairman for the Lee County March of Dimes/Walk America, Envision Opelika, and Community Foundation of East Alabama. Keith, his wife Carol, and their sons, Trace and Cade, are active members of First Baptist Church of Opelika.